Our perfumes are made using the finest ingredients. Each blend uses a range of materials, including naturals and the very best synthetic elements. Made with a great deal of care, excluding hazardous mixes that are often present in less expensive combinations. With an in house collection of nearly forty very different combinations we can create from stock wonderful products to meet the exacting requirements of our customers. We can also produce custom made combinations based on a customers personal brief or match an existing perfume from a supplied sample. Scroll down to view our full list of perfumes and their availability across the range. A fragrance inspired by the yellow ginkgo leaves in Autumn in Geneva. 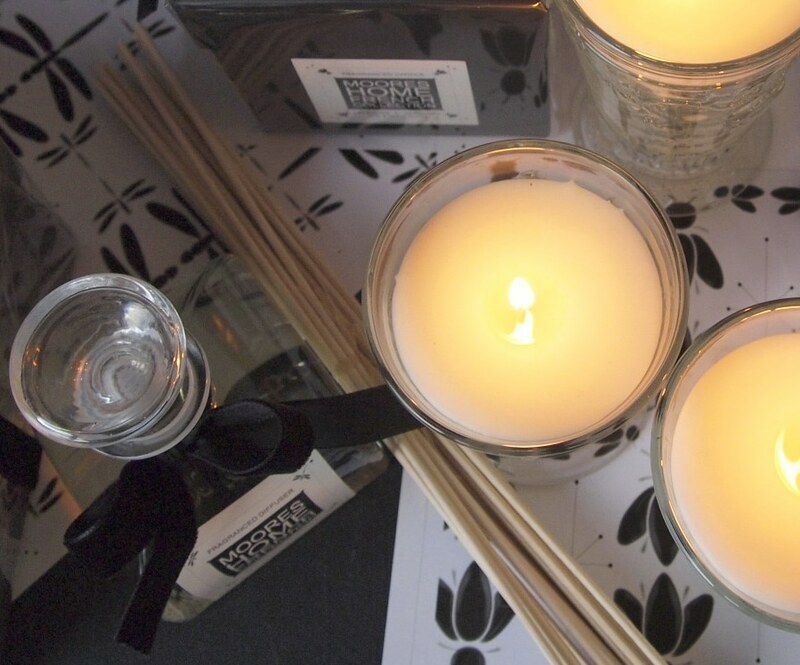 Green leafy birch notes entwine with smooth woods, smokey vetivert and earthy patchouli. A touch of black pepper and cardamom adds a spicy twist. Citrus top notes with a combination of Rose, Neroli, warmed with Spice & Anise. The distinctive scent of agarwood (oud) combined with smoky aromatic tobacco, precious amber, rich spices of red ginger and black-pepper with a hint of fine aged whisky. A trail of sensuous musk, silky sandalwood, cedar, vetivers and vintage suede brings a calming warmth to this composed blend. A luxurious creation of oud wood laced with the finest cognac, sweet aromatic tobacco and the smokey aroma of a warm, crackling log fire. Powerful Bark & wood essence combined with Cedarwood, smoke Amber & Sandalwood. Crimson Rose Petals, smoked Oud, spices of Clove, Black Pepper, Patchouli with Opulent Musk & Amber. Woody fusion of patchouli, vetivert and oud interlaced with gentle floral notes of jasmine and white lily finished with rich, luxurious amber and sheer musks. Smokey guaiacwood echoes whispers of burning embers from camp fires on the Great Plains; dark rose and rich jasmine reflect the grandeur of the Baroque era whilst smooth sandalwood, arid cedar, precious ambers and creamy vanilla lend a contemporary flourish. A rich sumptuous powdery floral, with notes of Violet, Tuberose, Jasmine, Creamy Vanilla & Velvet Musks. A deep fresh floral with very green grass top notes combined with Honeysuckle, Jasmine & Earthy Base notes. Fresh green herbal top notes with a hint of Ginger. Floral herbal heart of Lavender, Geranium & Rose, Woody Amber base notes with Patchouli & Musk. Light white floral mix with fresh cut grass. A modern floral with luxurious Black Iris, Sweet Bergamot, Jasmine – Tuberose – White Rose – Carnation , Calla Lily, underscored with Light Cedar, Heliotrope, Vanilla & Elegant Musks. Heady floral notes blended with Rose, Geranium, Carnation, Lily, & Lilac all combined with soft woods & sensual musks. Very green clipped hedges & freshly cut grass with a heady floral heart of Tuberose, Lily, Gardenia & jasmine. Combined with Ylang Ylang, Galbanum, Cinnamon, & Lemon oil. Deep dark sophisticated accord dominated by black amber woods infused with Clementine, Guaiacwood, Cedarwood, Patchouli, Saffron & Ginger, Birch Tar, Vetiver & Cashmere Musks. A rich heady, indulgent multi floral dominated by notes of Tuberose, Jasmine & Orangeblossom, Ylang Ylang, Lily & Violet, Vanilla & Velvet Musks. Heady English cabbage rose infused with Watery Green, Iris & Geranium oil. A blend of black rose, Geranium, Frankincense & Myrrh combined with spices, Amber & musks. Very heady exotic floral Ginger Lily with green top notes & Orange Blossom. Top notes of Green leaf, Peony & Rose with heady middle & base notes of Carnation, Vetiver, Iris Wood, Muguet & Cedarwood. Deep rich Gardenia with Bergamot, Ylang Ylang, Cassis, Violet ,Rose, Lily ,Jasmine & Iris Wood, with rich base notes of Sandalwood & Musk. Delicate white floral combination with clouds of soft musks, Lemon & Patchouli oil and a hint of Vanilla. Glorious indulgent blend of Iris Blossom, Jasmine, Iris wood, Caramel, Sandalwood & Amber. A rich mix of Vetiver, Bergamot, Heady Musks, Amber, Lemon & Cedarwood. A very heady infusion of fragrant Lemongrass & Coriander leaves & oils. Seaside fantasy bringing together some of the most popular aromas and treats a day there brings, fresh salty sea air and warm sandy beaches mingled with the sugary sweet aroma of pink candy floss and ice cream cones. Fruity, sharp ,green, Cranberry & Gooseberry top notes with a hint of sweet Apple & Plum. Watery floral with white narcissus, jasmine and waterlily freshened by a twist of sea salt, resting on a base of blonde woods and moss. softened by blonde woods, musk and amber with a complimenting hint of coconut. Rich Sandalwood, Vetiver oil combined with Cedarwood, Patchouli, Rosemary & Clove leaf oil. A combination of pine forests with hints of log burners, sweet Marzipan Stollen cake & Gluwein. Containes essential oils of Eucalyptus, Fir Needle, Peppermint, Birch tar, Vanilla. A heady, rich, Dark Amber base, warmed with Vanilla & Patchouli, freshened top notes of Bergamot, Mandarin & Lemon, smoothed with Jasmine, Casablanca lily & Tuberose. Very fresh green with base notes of Pine needle & Amber. Wild green earthy deep and exotic Cassis berries with notes of Italian Bergamot, rich red Rose, heady Jasmine, fresh cut grass, Cassis berries & leaves, earthy Galbanum oil & dry powdery Oak moss, Bergamot. Refreshing clean citrus herbal accord with bergamot, sicilian lemon, mandarin, bay, juniper, geranium, rosemary, lavandin, basil, vetiver & oakmoss. Citrus aromatic green top notes with lemon and fir needle. Rich woody amber heart revealing a base of patchouli, vetiver, cedar and oakmoss. Thyme, Muguet, Iriswood, Cedarwood, Labdanum & Saffron, Vetiver, Amber & Suede/Leather. A fresh contemporary fragrance with citrus notes of bergamot and zesty lemon, hints of green basil leaf and ice cool spearmint. Inpired by Egoiste accords, a modern leathery woody amber cologne with notes of lavender, lemon, vetiver, sandalwood, cedar, leather & jasmin. Inspired by the notes of Terre, this blend is woody, amber and aromatic with notes of vetiver, patchouli, cypress, bergamot, lemon and geranium. Fresh tea & ginger with top notes of lemon & orange. Heady black rose & frankincense, topped with sweet notes. Honeysuckle, jasmine, earthy moss, cistus with deep green notes. Intense white flowers – carnation & vetivert with powdery musk & spice. Heavy floral with lavender, geranium, musk, amber, sandalwood & patchouli. Wild berries – cassis, rich dark plum & fresh green leaf. Rich zesty grapefruit, saffron, black pepper, cedarwood, amber & leather. Dark amber, labdanum, patchouli, saffron & sultry ylang. Citrus and white peony tea accords are warmed by notes of coconut chai with exotic imperial spices of ginger, clove and cardamom seed. Base notes of amber and vanilla complete this inspiring blend. Citrus bergamot notes top a fusion of rooibos, red petals and gotu kola leaf with camomile and marigold flowers sweetened by the sheerest hint of honey in the backdrop. The deep earthiness of purple beetroot is complemented by the tangy, sweetness of juicy, ripe blackcurrants. A twist of spearmint gives a cool crispness to this unique blend. Notes of honey bush flowers fragrantly scented with the sweet smell of honey infused fruity rosehip, plum and red rose petals. Soft spices and hits of vanilla. Young rosebuds and soft petals atop the sweet fullness of China Black tea. A cleansing infusion blending aromatic accords of mooring leaf, nettle tea, lemon myrtle leaf, coriander seeds and wild thyme supported by undertones of mossy and earthy woods. A floral tisane of white peony buds and rose petals enriched with spices of clove, ginger and cardamom. Sweet lemon top note refreshes the blend whilst woody base notes of cedar and earthy patchouli give warm depth.